When Michael Muhammad Knight sets out to write the definitive biography of his “Anarcho-Sufi” hero and mentor, writer Peter Lamborn Wilson (aka Hakim Bey), he makes a startling discovery that changes everything. At the same time that he grows disillusioned with his idol, Knight finds that his own books have led to American Muslim youths making a countercultural idol of him, placing him on the same pedestal that he had given Wilson. In an attempt to forge his own path, Knight pledges himself to an Iranian Sufi order that Wilson had almost joined, attempts to write the Great American Queer Islamo-Futurist Novel, and even creates his own mosque in the wilderness of West Virginia. 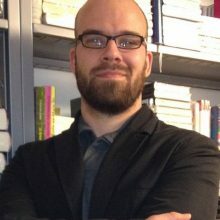 He also employs the “cut-up” writing method of Bey’s friend, the late William S. Burroughs, to the Qur’an, subjecting Islam’s holiest scripture to literary experimentation. 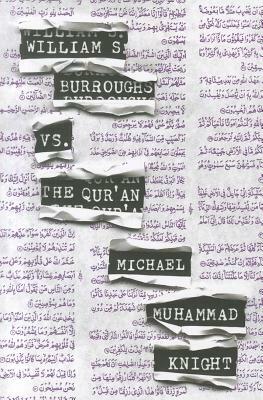 William S. Burroughs vs. the Qur’an is the struggle of a hero-worshiper without heroes and the meeting of religious and artistic paths, the quest of a writer as spiritual seeker.